It's officially my birthday week! I like to think that, since it's something I love celebrating. Every year I like to do something different or buy something new. This year I decided I was going to cut my hair! It's done, it happened. No turning back and I can't wait to show it to you next week with a new outfit. I got inspired about 2 months ago when I saw that Khloe Khardasian had a new hair style. I loved it so much I decided to do it too. I think my hairdresser cut between 10 to 12 inches of my hair, so the first day was a shock for me. I had moments where I was regretting the cut, but I'm loving it now. Stay tuned next week! Now, can we talk about how great this tunic dress is? I mean the color-rich botanical print accents, the flouncy tie-belt at the waist and a gently pleated A-line skirt is simply perfect. It's been super cold lately, the polar vortex has hit us hard but this dress makes me forget about that bitter cold. I can't even begin to tell you how much I love wearing this dress. Have you started adding touches of spring to your wardrobe? Love this tunic! Always been a fan of dark based floral prints and you nailed this look! So cute! Love this tunic!! Can't wait to see your new hair and happy birthday! Great dress. 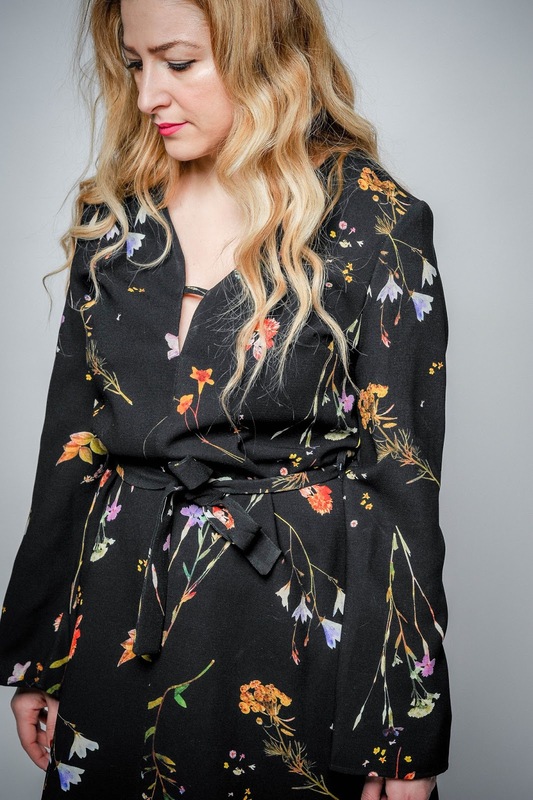 The darker floral print looks great on you! 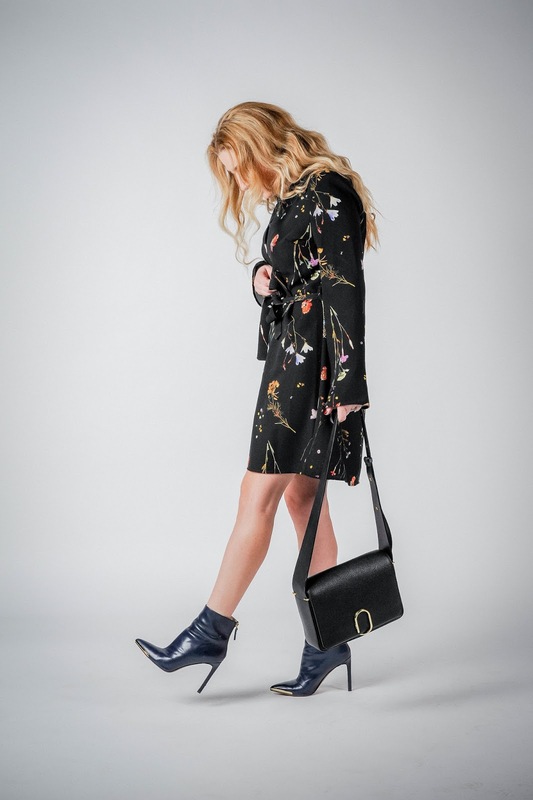 I LOVE this black and floral dress, and your booties are killer! Man I love a good tunic - they're so comfortable. This one is so cute! Love your hair..so gorgeous! It Is also was just my bday week last week..and I have not done a post yet..it's coming!! Your dress is just darling...looks lovely on you!! that tunic is FABULOUS on yoU! and these pictures are gorgeous! so glad i came across your blog through the linkup and i can't wait to read more! hope you'll stop by mine! Thanks for linking up to Top of the World Style. This dress is great as it works year round. You will have a lot bang for your bugs with this dress! Wow, super fabulous and on point, Cristy! One of my very favs! What a stunning dress and I love it with those amazing booties! This tunic is amazing! I'll be pinning this to the Linkup Pinterest Board. Thanks for linking up with me, and hope to see you this week!